Saint Ambrose, the bishop of Milan, baptizes the adult Saint Augustine as he kneels on the rose and green marble floor of a church. Augustine's mother, Saint Monica, watches the event from the right. 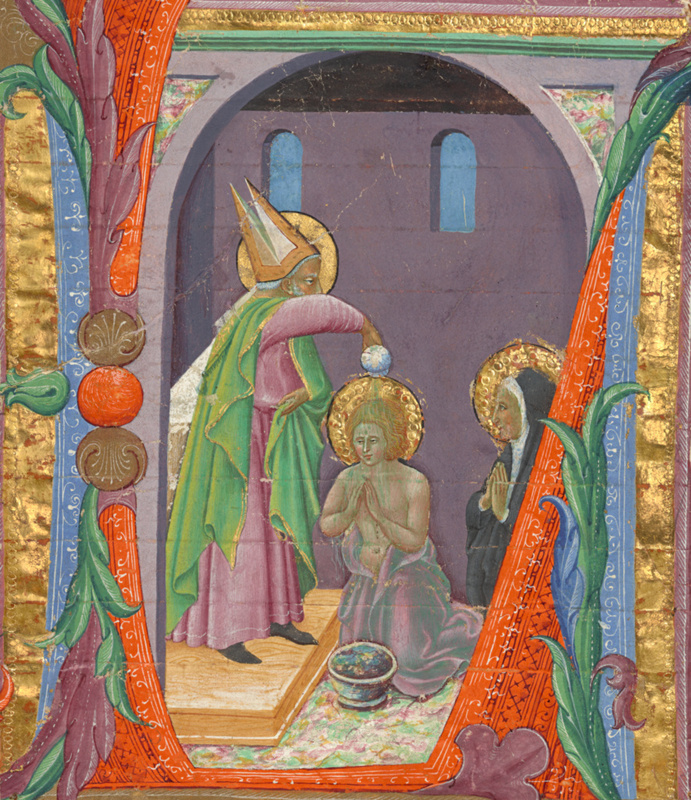 The illuminator almost certainly made this lively, colorful miniature for a choir book belonging to a congregation of Augustinian priests in Siena. The initial probably introduced the chants for a feast associated with Saint Augustine or Saint Monica. Scholars have not been able to establish a more precise identification, though they have associated it with other cuttings believed to be from the same manuscript.